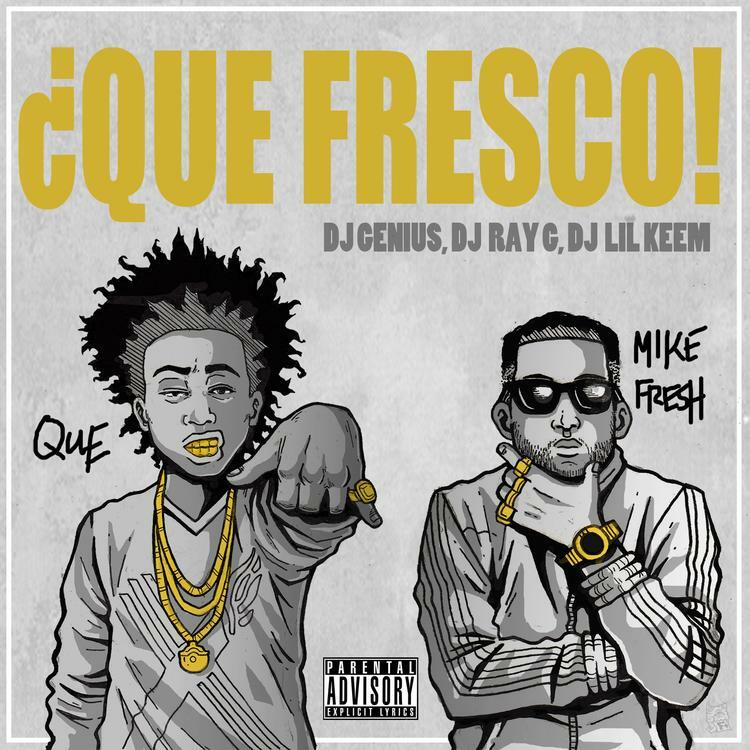 Download a joint effort from Que and Mike Fresh. While Que works on an upcoming solo project Can U Digg It? 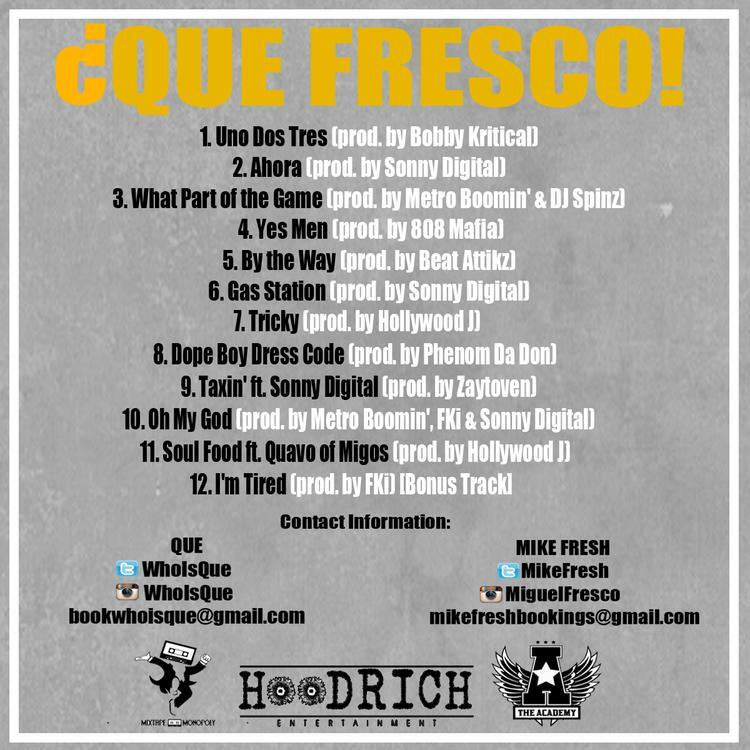 for an August release, the rapper found the time to hit the studio with fellow ATLien Mike Fresh for an entire collaborative mixtape, Que Fresco. The tape contains 12 new cuts, with appearances from Migos' Quavo and Sonny Digital, and production from Sonny Digital, Bobby Kritical, Metro Boomin', FKi, 808 Mafia and more. We recently premiered Que's "Diamonds" single with August Alsina off the rapper's upcoming tape here. How's the chemistry between these two artists? Listen/download and let us know what you think.